For this post, I had been very kindly gifted the Extra-Thick Egg from Hotel Chocolat and as a huge lover of dark chocolate, I received this in the 'Serious Dark Fix' edition! A sublime Easter treat either for yourself, or a loved one! To purchase this Easter Egg, click here! Have you shopped with Hotel Chocolat before? What is your favourite chocolate by them? Do you like the sound of this Extra Thick Easter Egg? Have you already purchased an Easter Egg from Hotel Chocolat? Do let me know your thoughts as I would love to hear from you and don't forget to click that 'like' button below! 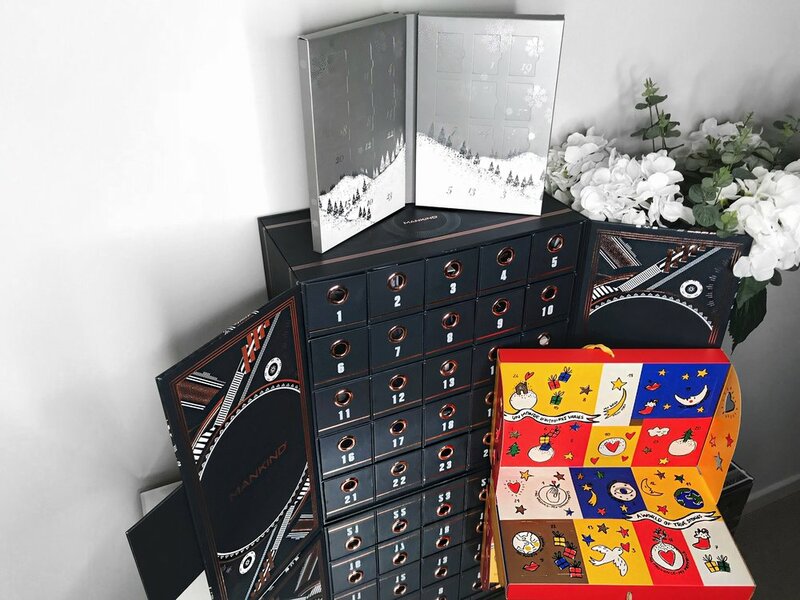 Every year without fail, I had always treated myself to an Advent Calendar from Hotel Chocolat and this Christmas was, of course, going to be no exception, only this time I had been gifted the Advent Calendar by Hotel Chocolat! As today is the 1st December which officially marks the beginning of Christmas, I cannot wait to open up each door and count down the days until Christmas with each dark chocolate treat! 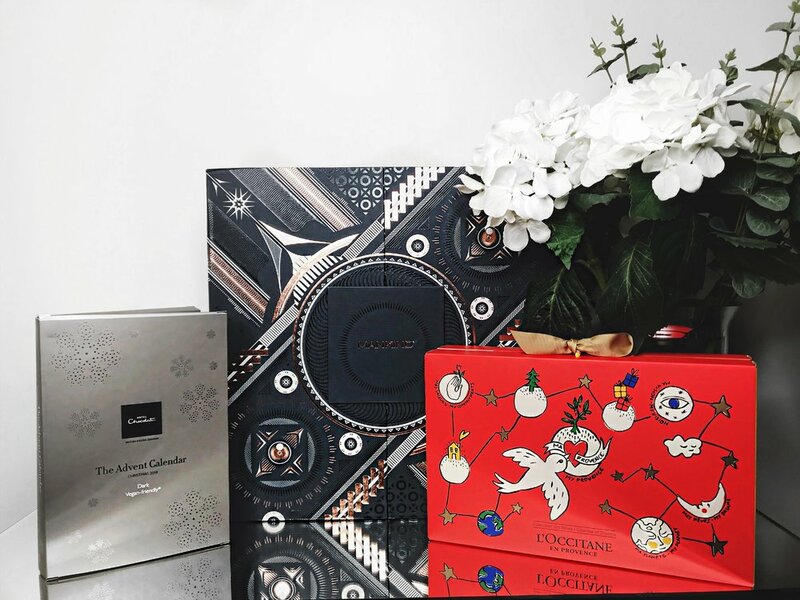 For more details and to get inspired by their Chocolate Gifting, click here and to purchase any of the Advent Calendars mentioned, click here. Have you shopped at Hotel Chocolat before? If so, what did you buy? 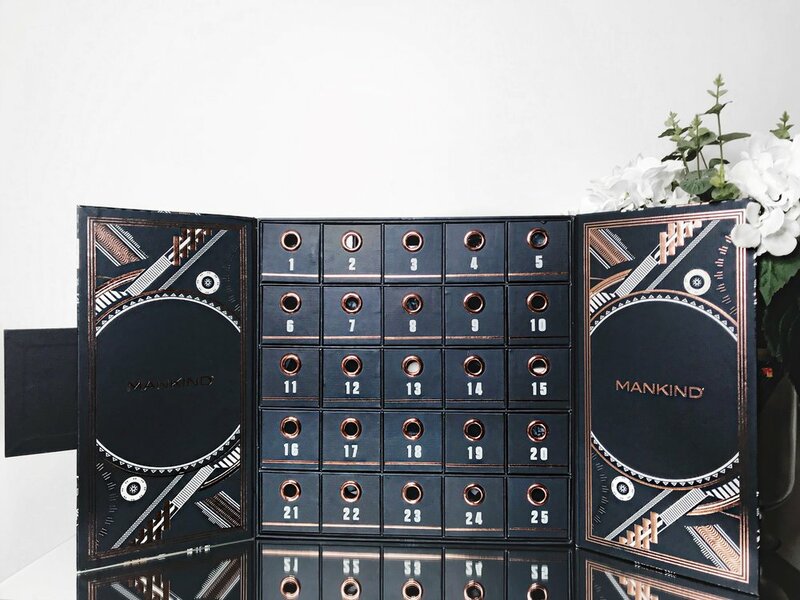 Did you buy your Advent Calendar from Hotel Chocolat? Which one did you choose? 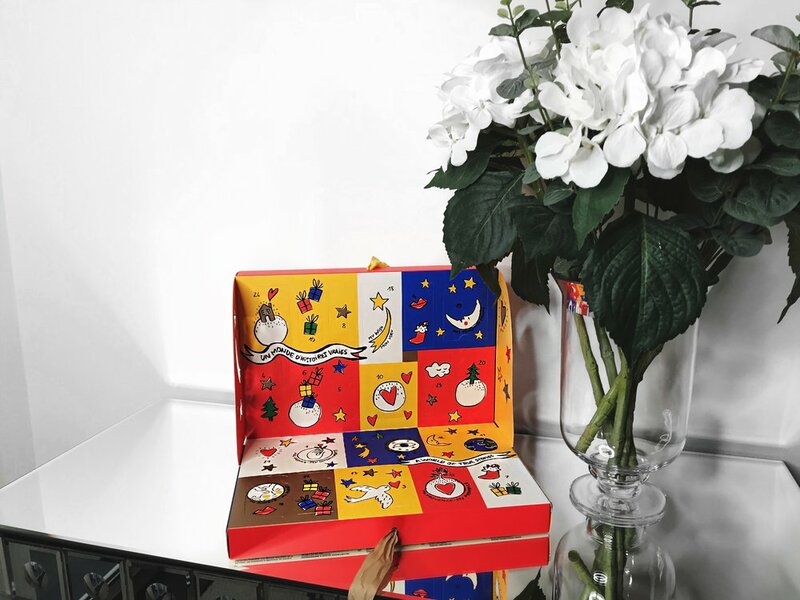 Did you manage to get your Advent Calendar in time, or will you be playing catch up!? Do let me know your thoughts as I would love to hear from you, and don't forget to click that 'like' button below! Whether you're staying in or dressing up to go out this Halloween weekend, one thing is for certain, Hotel Chocolat have provided the Ultimate 'Little Monster' Halloween Hamper for those who prefer choosing the 'treat' option! My personal favourite out of the Hamper has to be the Oozy Eyes as they are simply delicious and do indeed look rather spooky! I am sure this will come as no surprise, but unfortunately, the Little Monster Halloween Hamper has now sold out online, but do click on their 'Check Store Stock' to see if this is available to purchase in your local Hotel Chocolat store. Perhaps another alternative would be to 'Build Your Own Hamper' which allows you to select your favourite chocolate treats to gift to a loved one, but let's be honest, we all know that loved one is yourself... I'm saying nothing! Will you be trying out these Spooky Treats from Hotel Chocolat this Halloween? Have you already tried any of these? If so, which ones and how did you find them? Have you shopped with Hotel Chocolat before? Which is your favourite chocolate from them? Do let me know your thoughts below as I would love to hear from you, and don't forget to click the 'like' button! Without fail every time I head back home from London, I always visit the Hotel Chocolat Boutique at King's Cross, and I go there each time because Hotel Chocolat is one of my favourite chocolatiers! My personal preference? The Dark Rum Truffles Selector, they are heavenly! With Father's Day coming up, what better way to treat your Father, than to provide him with a wide array of delicious chocolates from Hotel Chocolat? All in the form of the Father's Day Sleekster! From boozy nibbles, fruity truffles, white to dark to milk chocolate, to creamy caramels and pralines, this Sleekster offers up the perfect gift for this Father's Day. Raspberry Smoothie - Pressed raspberries blended with cream, sealed in milk. Caesar - Light-as-air praline mousse piped into a Supermilk cup. Fudge Sundae - Rich, stick toffee, smooth hazelnut and mellow milk. Carrot Cake - A national treasure, reinvented with real carrots and walnuts. Cherry Deluxe - A kirsch-soaked cherry suspended in amaretto cream, double sealed. Caramel Cheesecake - If you're going to do it, do it right. Sour cream tang with French butter caramel. The Brownie - Dense, cocoa-rich and nibbly, all sealed within 50% milk. Florentine Isabelle - The bite of Florentine over the melt of soft praline. Peanut Butter - Nothing but smooth peanut butter in 50% milk. Billionaire's Shortbread - Generous with caramel, abundant with cookies, and lavish with smooth hazelnut. Eton Mess - Strawberry mousse, crisp meringue, and high-cocoa white. Dizzy Praline 70% - Ultra-smooth, deeply satisfying signature praline, 70% dark. Going Nuts - Hazelnut crunch, melting praline, double-sealed in Supermilk. Mousse au Chocolat - The perfect balance of cocoa and cream. Champagne - Uplifting cream truffle with a splash of Champagne. Out of the chocolates featured within the Sleekster, the Billionaire's Shortbread, Eton Mess, Raspberry Smoothie and Cherry Deluxe are all my favourites! You can purchase the Father's Day Sleekster here. Have you eaten from Hotel Chocolat before? Which have you tried? Do you have any favourites from Hotel Chocolat? If so, which ones? Let me know your thoughts below as I would love to hear from you, and don't forget to click that 'like' button!